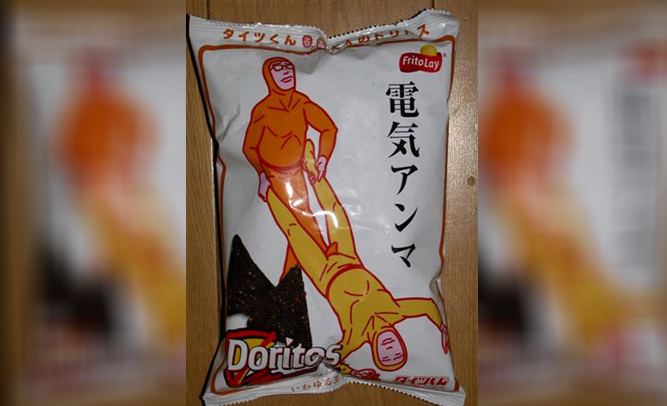 For years the internet has been confused by an image of a bag of Doritos from China featuring a man appearing to hold another man’s legs apart while he stomps on his crotch. The Doritos, which have been dubbed “Crotch-Stomper” chips, are considered a delicacy in China, unlike the traditional chips sold throughout the world as a standard item. According to people who have been able to try the chips, they taste exactly the way you’d expect: like balls. Doritos are manufactured by Frito Lay, who say that the flavor is supposed to be savory, sweet, and tangy.